As you can see from the photographs, the headphones have quite a bit of wear on the band and on the wires, but the headphones still work great. I replaced the pads a number of years ago and they look to be in good condition. Want to enhance your performance further?. Download the Denon Sport smartphone application (available for Apple iPhone, Apple iPad„, or Android) for the Exercise Freak in all of us. High grade oxygen free copper cable with anti cabletouch noise structure. Upgraded cable (vs. AH-C620). Earphones & Headphones. 11 mm Neodymium drivers with aluminum earbud housing ensures sound quality. Grado iGrado On-ear Neckband Headphones. Ear Cushions & Pads. 48" cord length with gold-plated stereo straight mini-plug. Make: DENON. LOW PRICES. Check with the manufacturer for more warranty information. This listing for “used” Denon AH-D340 Music Maniac headphones with original box/case. These headphones have been taken out of the original packaging thus they have been labeled “used”, however they have literally and only been worn 2-3 times so they are in excellent condition. I have been gifted more headphones, earbuds, and headsets than I need so I am selling these and others. with original intact box/case! Please let me know of any questions that you may have. Thanks and enjoy! The in-ear design ensures a comfortable fit, and the AH-C360 is supplied with four sets of soft, compliant silicon earpads that allow the best fit and optimum isolation from extraneous ambient noise. Make: Denon. Check with the manufacturer for more warranty information. These are a like new condition Denon AH-W200 wireless headphones. Cosmetically they are in perfect condition, without any scratches or flaws. The units were tested and work great! Include is the original case and carabiner. Please see pictures for more details. 100% genuine Denon. What you see is what you'll get. This is my second pair. I think it sound more authentic then the bose QC series. 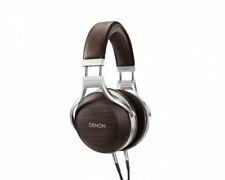 DENON PORTABLE HEADPHONES. INCLUDE GENUINE DENON 3.5 MALE TO MALE CABLE. MODEL: AH-D320. Well-used, but still 100% functional. They sound incredible, especially for this price point, with a full (but not exaggerated) bass and great detail. They are light and comfortable, and feature an interchangeable cable (the included cable is not the original). Denon AH-W150. Your request will be denied. Slightly Used - Fully tested and in 100% functional condition. Serial # 35223B. We believe that most folks want what is inside the box, and they want it to work great and look great. 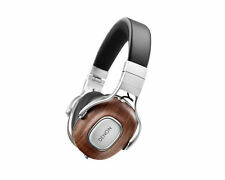 (The Denon DN-HP500 headphones from Denon DJ. Circumaural design suitable for DJ use. • Type: Air tightness Closed Dynamic. • Output (Sensitivity): 103dB. • Frequency Response:10 (target)-28kHz). • Impedance: 40 ohms. Enjoy beautiful music in blissful silence without the hassle of tangled cords with Denon's Globe Cruiser AH-GC20 wireless headphones with active noise cancellation. Featuring the latest Bluetooth 4.0 Dual Mode wireless technologies including Advanced Audio Coding (AAC), the AH-GC20 over-ear headphones eliminate the need for a cable, communicating wirelessly with your smartphone, tablet and portable music player. New Black Denon headphones. Condition is New. Bluetooth and wire connection. Designed for hours of fatigue-free listening, the AH-D1100 over-ear headphones feature remarkably light weight (6.7 oz., cable not included) along with a host of exclusive Denon technologies for the ultimate in audio fidelity and listening comfort. Original Denon D2000 with custom recabling and upgraded gold-plated Switchcraft mini. Cable is 4 foot copper/silver Xev by Zynsonix. There is one nearly imperceptibly small scratch on one of the earcups, however it could likely be filled or even upgraded with custom wood earcups. If you like a warm midrange and excellent, tight bass, you'll love these headphones. An additional benefit is, because they are close backed headphones, sound does not leak out as it might with other open high-end earphones. 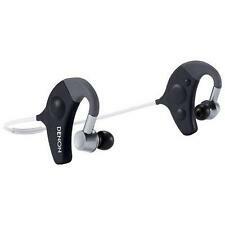 This makes these heaphones perfect for dorms, offices, or anywhere else where others are nearby. Denon's Exercise Freak in-ear headphones are the ultimate, super-lightweight, sweat proof, wireless fitness headphones that perform the way you do. Listen to your favorite music & answer calls without the inconvenience of cables getting in the way of your workout. Professionally refurbished and tested to work excellently. The pictured item is what is for sale. You will receive exactly what is shown, if it's not pictured, it's not included. Driver 11.5 mm Driver Type Dynamic. Transmit power class Class1. Compatible standards Bluetooth ver4.1. Denon Wireless Bluetooth Earphone AHC160WBU Blue with Microphone Japan new . The plug type in Japan is type A. If a conversion adapter can handle the electric power, all you need to do to use the product in your country is to change the plug to type A. Is there any thing in which you are needed at an item of Japan?. We may not be able to send it to countries which prohibit importing lithium. Instruction manual could be written in Japanese. These headphones are in good used condition- general wear is to be expected. 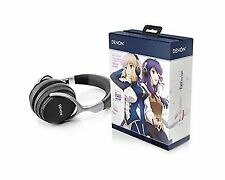 Denon Stereo Headphones AH-D550 Made In Japan. These headphones are in good used working condition. You will receive everything shown in photos unless otherwise noted. 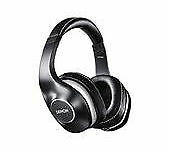 Denon AH-D340 Headband Headphones - Black. Fit Design Headband. 9/10 - Used (Mint Condition, very minor signs of use). At our discretion we will repair or replace the item. Color Black. Product Identifiers. Here is one of the best headphones in this price field. It has been santized and new ear cushions replaced. And the sound - out of this world. Made in Japan. The BEST years of Denon studio/audiophile headphones. You get what you see in the pictures so OPEN your eyes. Read the details about this product BEFORE buying. Up for sale is a pair of very rare, limited edition Denon AH-A100 headphones.These were released a few years ago and only 1000 units were ever produced. An estimated 300 units were made available in the United States. Item is new and never used! 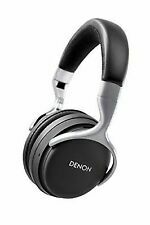 Denon AH-GC20 Bluetooth Headphones with Active Noise Cancelling - Black Silver. Model : AH-D1100-AG. - to Australia (about 2-6 weeks). - to Southeast Asia (about 2-4 weeks).